Our expert engineering staff provides complete evaluation, inspection, and design support for ensuring window cleaning tie back systems are in compliance with OSHA and ANSI/IWCA specifications. As of 2005, Section 1926.502 of OSHA’s Safety and Health Regulations for Construction Specification requires building owners to provide specified davits and independent life safety tie back anchors for window cleaning apparatuses. The davits and safety tie back anchors must be in specified locations and load tested to ensure the structural capacity of the anchors. Many buildings are not up to this OSHA specification. Our engineering staff performs visual inspections to insure the configuration of roof davits and safety tie back anchors are in compliance with OSHA and ANSI/IWCA specifications. 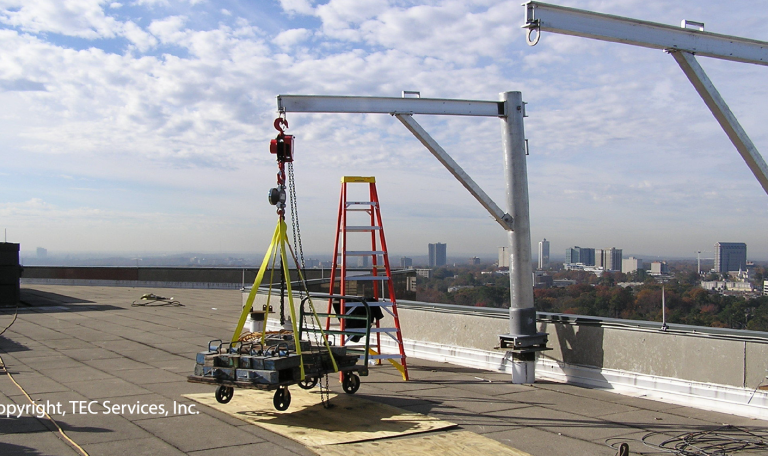 We also perform the required periodic load testing of roof davits and safety tie back anchors.